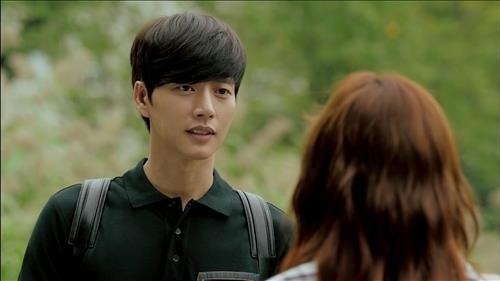 Actor Park Hae-jin, enjoying growing popularity in both Korea and China with his new tvN drama “Cheese in the Trap,” has signed endorsements with 15 advertisers, according to industry insiders. Park was recently signed on by a wide range of brands, including 7-eleven, Beanpole accessory, and an outdoor brand Centerpole. He also renewed contracts with Mind Bridge, Kohler Novita, and Lotte Duty Free. Park’s total income from modeling for brands is estimated at around about 11 billion won (about $9 million). Following the contract, an international chain of convenience stores, 7-eleven, launched a vast array of products featuring the character “Yoo Jung,” the male protagonist that Park plays in the drama, such as a triangular gimbap and a lunch box. 7-eleven will expand the range of products and export them to other Asian countries including China, Thailand, Taiwan, and Japan, said the actor’s agency WM Company. “Cheese in the Trap,” a romantic thriller based on the eponymous Naver webtoon, recorded 6.6 percent of viewer ratings with its fifth episode, according to AGB Nielsen Media Research, confirming its popularity. It also topped the Weibo drama chart even before its official release in China, which shows its popularity among Chinese viewers as well. The drama airs Mondays and Tuesdays at 11 p.m. and will be released via Chinese website Youku and Tudou this summer.